The full suite of the next generation g44xx series TVgateways, embedded with full content security protocols. 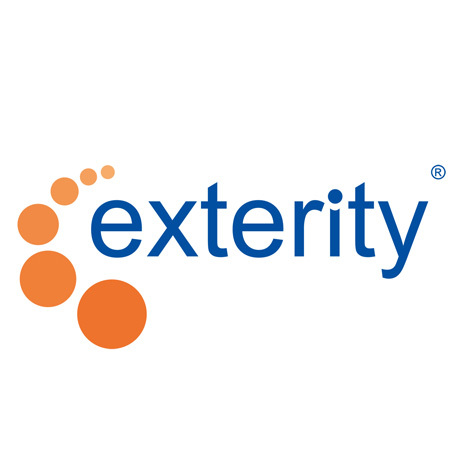 Edinburgh, 17 November 2014 – Exterity (ISE stand E60, hall 11), the leading provider of enterprise IPTV technologies for the secure distribution of live, on-demand and recorded video over IP, today announced that ISE 2015 will see Exterity showcase its full end-to-end professional IPTV product portfolio that meets the needs of organisations seeking a secure, professional IPTV system. Next Generation TVgateways: The full suite of the next generation g44xx series TVgateways can ingest broadcast streams from eight multiplexers via eight tuners in one blade from cable, terrestrial and satellite, saving rack space in server rooms, reducing power consumption and making them the highest performing and compelling, professional live broadcast acquisition product available. These new TVgateways offer Freeview in a single blade and come embedded with complete content protection enabling organizations to receive and securely distribute multiple video streams simultaneously. Note to editors: To request a briefing at ISE with Exterity, please contact Segolene Roche of Platform PR: segolene@platformpr.com, (T) +44 (0)20 7486 4900.